Creature From Black Lagoon is a 1954 film in which the story line follows a scientific expedition on the Amazon River that discovers a human-like creature with gills. It is a low-budget, older film which really is, depending upon who you listen to, more tense than scary. This monster movie was originally released in 3D. I smile as I picture that version and note that it is now available in Blu-ray 3D as well as 2D. The movie actually manages to score a hefty 85 percent from the reviewers at Rotten Tomatoes with comments which refer to the atmosphere and and the makeup used to make the half fish, half man creature, the later which was considered masterful for its time. What do you think? If you are looking for a tense movie that's a bit scary, you might consider this one. It is actually a good choice for tweens who want to watch horror movies, so long as they are willing to watch an older film. A Universal Studios Classic Monster Collection movie, The Creature From The Black Lagoon stars Richard Carlson, Julie Adams, Richard Denning and Antonio Moreno. I checked for my blu-ray readers discovered that this movie is available on Blu-ray in both 2D and 3D versions. So tell me, are you willing to let The Creature From The Black Lagoon into YOUR home? Buy or Rent The Creature From The Black Lagoon from Amazon. How to Easily Create A Creature from the Black Lagoon Costume. An excellent movie choice for now or for Halloween, WAIT UNTIL DARK is a classic psychological thriller. Shot in 1967 from a screenplay based on a very successful Broadway play of the same name, it featured Audrey Hepburn as a newly blind young lady and Alan Arkin, Richard Crenna and Jack Weston as the criminals. Miss Hepburn received nominations for an Academy Award and a Golden Globe as Best Actress. Efrem Zimbalist Jr., who played a supporting role as Hepburn's husband, received a nomination for a Golden Globe in that category. This was Hepburn's last nomination for an Academy Award. Wait Until Dark is considered "one of the MOST INTENSELY FRIGHTENING movies in movie history." It truly is a piece of scary entertainment. Will you turn out the lights? Buy Wait Until Dark from Amazon. Audrey Hepburn's WAIT UNTIL DARK Movie Review. Audrey Hepburn's MY FAIR LADY Movie Review. Audrey Hepburn's Couture Muse Collection. When writing my Audrey Hepburn's My Fair Lady Movie Review recently, I discovered a few bits of interesting My Fair Lady movie trivia. Did you know, for instance that Julie Andrews, who was considered THE actress for the role because she had been so successful bringing Eliza Doolittle to life on the stage, was rejected for the movie? Did you know that Audrey Hepburn did NOT do most of the singing in this musical movie? Did you know that Jeremy Brett's singing was also dubbed? Did you know that James Cagney, Peter O'Toole, Cary Grant, Noel Coward, Michael Redgrave and George Sanders were all considered for the role of Higgins? Did you know that in 1962 Warner paid a staggering 5.5 million dollars for the rights to the film, setting a record that wouldn't be broken until 1978. 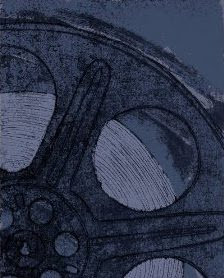 I do find the information about the creation of a movie, especially onw that endures the test of time like My Fair Lady, particulary interesting. How about you? More My Fair Lady Movie Trivia from the Internet Movie Database. You Will Meet a Tall Dark Stranger is a comedy and drama movie that was written and directed by Woody Allen. It features, in my mind, a very interesting cast, which includes Antonio Banderas, Josh Brolin, Anthony Hopkins, Freida Pinto and Naomi Watts. The story? It follows two married couples and the troubles they get into. With husbands leaving wives and other goings on, this film leads to great heartaches...and, I expect, a few laughs. You Will Meet a Tall Dark Stranger opened on May 15th at the Cannes Film Festival it comes to theatres in North America on September 22, 2010. Watch the trailer and learn more about what, to me, looks like an interesting romp. I enjoy the actors in the line up of this movie; I’ll be looking forward to seeing it. How about you? Love Woody Allen movies? Check out the great boxed set of his movies on Amazon. 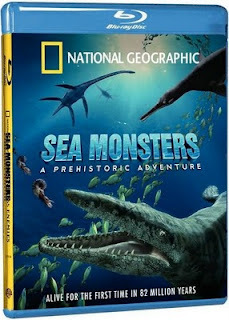 Sea Monsters A Prehistoric Adventure is a National Geographic presentation which has an interesting story line. It follows a sea creature in a prehistoric time (Dolly). The story flips between a fictional tale in Dolly's world and the work of scientists in ours. Sea Monsters A Prehistoric Adventure is now available on DVD and blu-ray in your choice of 3D or not. I've read mixed reviews about the 3D version. Some love it and some don't. You can read the Amazon customer reviews for yourself by clicking right here. They might help you decide which version of this movie you want to own. This movie is not one of the advanced new 3D movies and you will have to wear the red and blue glasses that come with it. 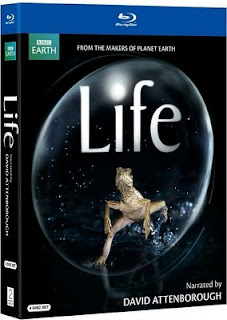 Fortunately, if you are interested in this documentary, you will not need a 3D blu-ray player nor a 3D HDTV. For more information read my longer page, Sea Monsters A Prehistoric Adventure 3D Blu-ray Nature Movie Review. Buy your copy of Sea Monsters Prehistoric Adventure on DVD or blu-ray. Sea Monsters A Prehistoric Adventure 3D Blu-ray Nature Movie Review. The 1964 black comedy "Dr. Strangelove or: How I Learned to Stop Worrying and Love the Bomb" is one of those films that EVERYONE needs to have seen. Just like everyone should know the plot of "Romeo and Juliet" and should have heard the "I Have a Dream" speech, being familiar with "Dr. Strangelove" is an essential part of understanding contemporary culture. Stanley Kubrick's seemingly bizarre decision to make a comedy about the destruction of world resulted in a movie that still reverberates through the worlds of both cinema and politics. Many of the characters and situations presented in "Dr. Strangelove" were allusions to influential people and policies from the 1960s Cold War days. But the themes of deceit, mistrust, misplaced bravado, and human fragility are just as relevant today as they ever were. Even today, images, characters, and quotations from Dr. Strangelove are referenced to evaluate and criticize the actions of world leaders. The movie has become an integral part of our consciousness about politics and the meaning of war. And at the same time, the movie is incredibly funny! The credit for that goes both to Kubrick for an exceptional and brilliantly directed screenplay, and also to the stellar acting, especially from Peter Sellers and George C. Scott. Some of the film's best comic dialogue actually came from the ad-libbing of Sellers, who played three different roles in "Dr. Strangelove" (a nervous British serviceman, a sinister strategist, and a level-headed President of the United States). And Scott's over-the-top performance as a hawkish general steals the show. The storyline begins with one person finding a weak link in the complicated security systems that control our nuclear attack policies. And Kubrick keeps the suspense (and hilarity!) going all the way to the end as forces from every side work with each other and against each other while the future of all life on earth hangs in the balance. I'll say it again: "Dr. Strangelove" is a must-see. If you're not familiar with it, consider this your homework assignment. Thanks, Joan, for this post and for the homework assignment! I must admit that I have NOT seen Dr. Strangelove but I have added it to my must-see list. For my blu-ray movie fans, I will add that Doctor Strangelove is available on blu-ray and that the blu-ray is considered very well done. In fact, High-Def Digest calls it a must-own movie that has great audio, video and special features as well as cast, camera and story. Read Joan's complete Doctor Strangelove Movie Review. Buy your copy of Dr. Strangelove or: How I Learned to Stop Worrying and Love the Bomb from Amazon. Last year I spent a fair bit of time searching out some good scary movies for tweens. Scary movies, that is, that are scary but not too scary. Tweens often want to watch horror movies but, in general, they are not old enough for true horror movies. Here then are the seven movies I am comfortable recommending for your tweens. Creature From the Black Lagoon (1954) ~ Scientists discover a weird creature with gills in the Amazon River. A tense and slightly scary movie. The Watcher in the Woods (1980) ~ A teenager visiting a house in the country tries to determine what happened to a girl who had lived there thirty years earlier. The Private Eyes (1981) ~ A spooky old house and a funny pair solve a murder. 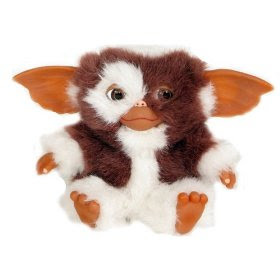 The Gremlins Special Edition ( 1984) ~ Some people do find those cute little Gremlins nasty! This movie is filled with mischief, mayhem and murder. The Monster Squad (1987) ~ A fun movie with classic monsters and children who try to defeat them. The Nightmare Before Christmas (1993) ~ Older kids love these kind of offbeat movies. This one is part musical, fantasy, horror and comedy! Read more scary movies and tweens on my page, Not Too Scary Movies For Tweens or Pre-Teens on Halloween. I've never been sure what it is about Sherlock Holmes, but there is something truly enchanting about him, and for me, this always transfers onto any movie he happens to be in. And now, I am about to say something incredibly controversial, that will likely get me banned from going within 200 yards of an Irregular for life (I jest. It would be 400 yards); I really, really liked the 2009 Sherlock Holmes movie, which starred Robert Downey Jr. as Sherlock Holmes. Despite being considerably shorter than Watson, and having (shock, horror!) brown eyes, Mr. Downey Jr. made an excellent Holmes. Why? Watch carefully – in public, we find him collected and masterful, exactly the man we read about in the books. It is in private where we see him facing personal demons, as Watson hinted at with references to Holmes' cocaine habit. This is Holmes as he must have been, rather than 'as Watson wrote him' – Watson, who himself admitted to embellishment and exclusion. The film itself is, in a word, gorgeous. A good chunk of the budget was clearly spent on lovely costumes, sets, and visual effects. It is light-hearted, action-packed and basically just really good fun. The plot is involved and runs deep enough to hold your attention, even if you're used to murder mysteries, and the villain is chillingly charming. All in all, it is as brilliant as one would expect from the people involved, and well worth setting aside the 128 minutes it runs for to enjoy yourself. Thanks, Cecilia, I loved this version of Sherlock Holmes, too, as referenced in my post about My Favorite Movies. I was TOTALLY impressed with the cinematography. I highly recommend that people who are Sherlock Holmes fans check out your page, Who Is Sherlock Holmes, where they can read more about the great man and about many of the other Sherlock Holmes movies. Buy your copy the Robert Downey Jr. Sherlock Holmes on blu-ray or DVD. I've been working my way through a bunch of older movies lately and recently found myself watching Sophia Loren's Angela. Angela is a gritty and I expect low budget joint Italian/Canadian movie, which was filmed in Montreal, Canada. If you watch it on VHS videotape, you might be excused for thinking that the quality of the tape was poor. However, I learned that the original film was not particularly well done and that the DVD naturally passes along that film quality. So why the heck then, you might be wondering, am I writing about Angela? Firstly, because I have never seen a Sophia Loren movie and secondly, because I enjoyed it. I think Sophia Loren did a very good job as the aging mother and her co-star, Steve Railsback, also did a fine job as the love-struck young man. Anyone who enjoys Sophia Loren should watch this movie and see how she performed. If you love mob movies and tense dramas, you might also add this movie to your list of movies to see. Just be aware that it deals with mature subject matter. Order Angela on DVD as part of the Sophia Loren Signature Collection. Read my Angela movie review.